Since the Fourth of July is just a few days away, there’s probably a good chance you’re getting ready to host a backyard cookout. You love having people over and showing off your Tampa Bay outdoor kitchen, but you’re not a fan of uninvited guests. Even the cleanest outdoor dining areas can have a bug or two show up. Here are some tips to keep the critters away while you serve up some delicious grub. Bug lanterns can be a discrete and healthy way to keep pests like wasps, bees, and mosquitoes far away from your food and friends. You’ll need to place them strategically in your garden so that they aren’t within the dining and main gathering areas, yet close enough to attract and dispose of the bugs so they don’t harass your visitors. Alternatively, you can choose more attractive critter-condemning devices like tiki torches and candles. These can be placed throughout the entire backyard, on table tops and countertops, and other places bugs might be drawn to. Combine these with bug lanterns, and you’re well on your way to a pest-free meal. This type of treatment will need to be done before guests arrive, as the chemicals are poisonous and hazardous if inhaled. 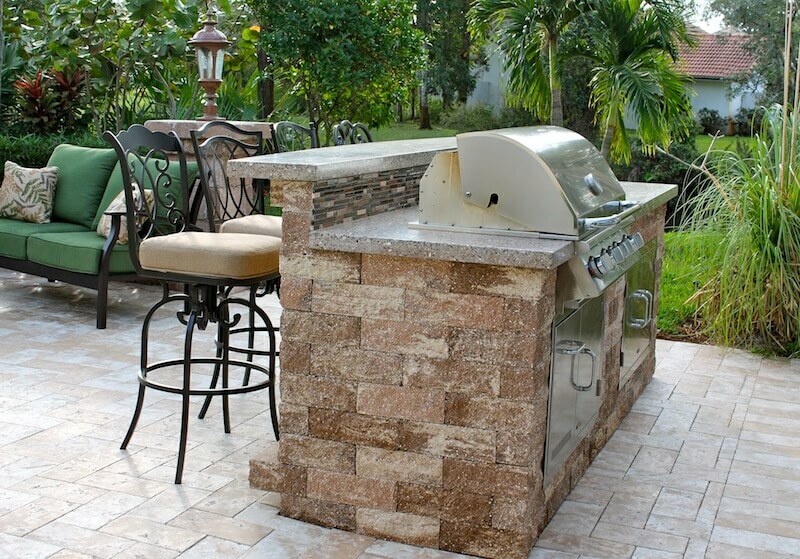 Make sure that you cover up your countertops, tabletops, and appliances before fogging your outdoor kitchen. If you plan on leaving food out on the table for guests to pick and choose from (i.e. buffet style), then you’ll want to have covers and colanders on top of the food. These ensures your appetizers and entrees aren’t easily accessible to bugs, but easily accessible to your guests. The best tip is always to practice prevention. This means mowing your lawn and trimming any long grasses to keep bugs at bay. Also be sure to dump out or drain any standing water in planters or anywhere else it can collect. While entertaining, provide a number of easily accessible trash receptacles so that guests can clean up after themselves, and so that you have an easy time cleaning up after any event. Seal everything up and stow bags in containers that pests cannot get into. With these simple tips, your outdoor kitchen and dining area will be pleasant and pest-free for the party.